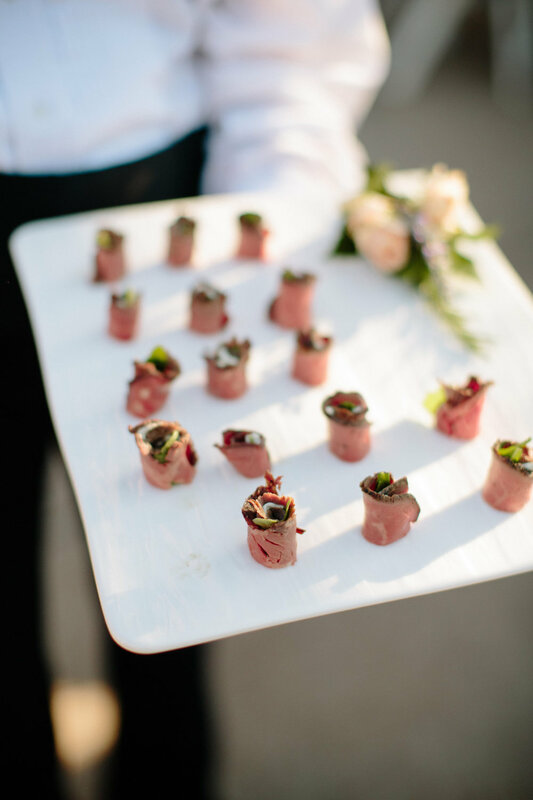 The weather is finally turning warm around here, and what better way to ring in the spring season than sharing Stephanie & Chad's Bull City wedding, featured on Southern Bride & Groom? 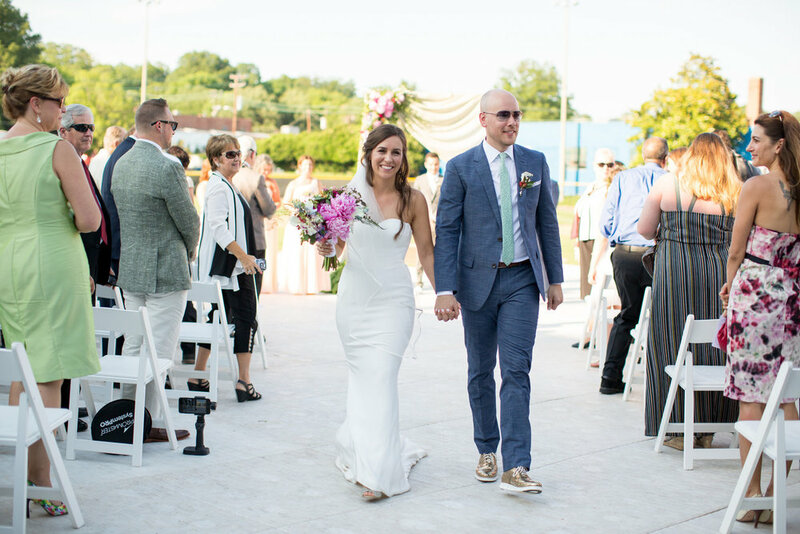 Not only is this couple joyful, down-to-earth, and stylish, but Chad is a friend and trusted vendor to us here at Gather Together, co-owner of American Party Rentals.  We were thrilled and honored to design and plan their wedding day. 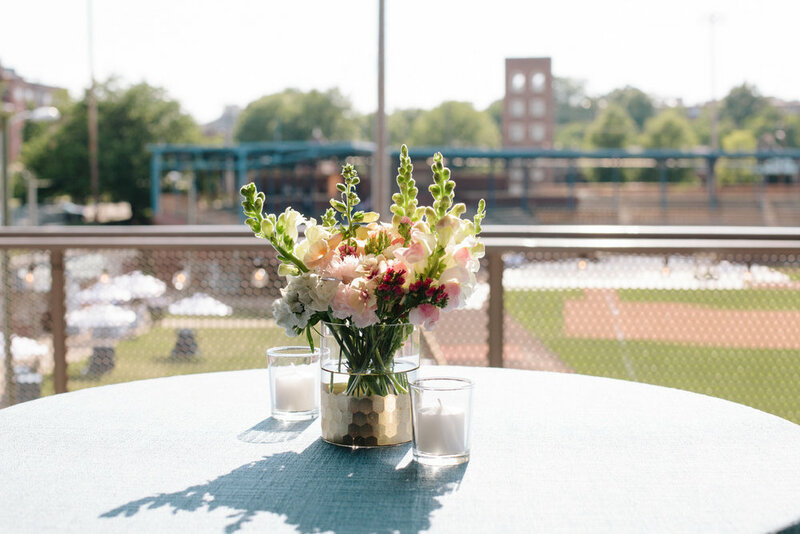 Steph & Chad's love of all things Durham drew them to Historic Durham Athletic Park for their wedding. Their ceremony was held on the field, beside the pitchers mound with their initials drawn in the sand. 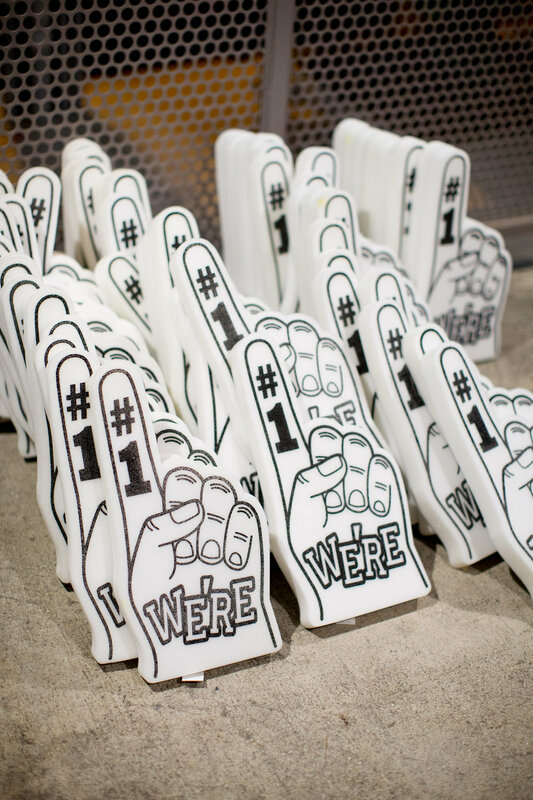 The reception took place at The Rickhouse, a beautifully restored urban warehouse building on Foster Street, overlooking the stadium. It was the perfect canvas for the modern, bright, and inviting wedding design. Guests were filled with delight and smiles were all around as Steph & Chad celebrated, dancing the night away.